For many that are just getting started with couponing, it can seem a bit overwhelming & time-consuming. After many starts and stops in my couponing journey, I have come to realize an organization system that works is extremely important. 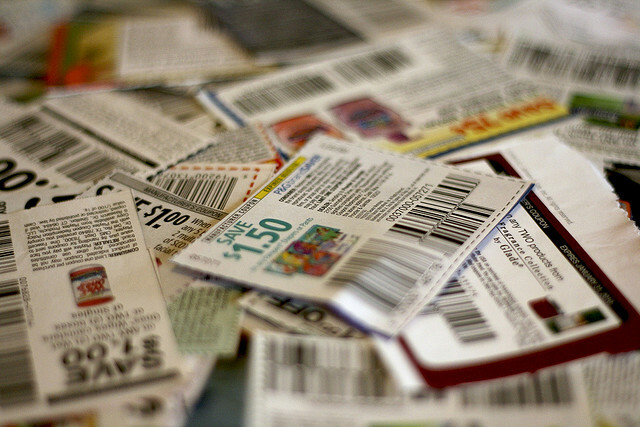 There are many different ways people organize their coupons/inserts and over the next few weeks, we will discuss some of them in-depth (including my current system). Filing system – coupon inserts are not clipped. Each insert is placed in a file, labeled with the date & insert type (ie SS 5/1). Coupons are pulled out as needed. Coupon box – using a recipe (or similar) box. Dividers are customized for your own categories. Can be portable. Coupon binder – coupons are clipped and placed in protective pages . They can be organized by category, brand, or even set up to match the aisles in your favorite store. Combination – My current system is a combination of binder & filing. My inserts (except 2 of each) are filled in an accordion file, according to date & insert type. The coupons I have printed or received in the mail, and from 1 copy of each insert are cut & put into the left binder according to the aisles at my favorite grocery store. The right binder (see the pictures below) contains dividers for each store I shop at, their coupon policies, and a 3-pocket page to keep store coupons and each trip’s coupons. Want to know more about my coupon organization system? See how it evolved here.